It's been more than 20 years since author Han Mal-sook's novel “Hymn of the Spirit” was published, but the book continues to get reviews from foreign countries, this time from Sweden. The 1981 novel is Han's exploration of spirituality, dreams, death and local shamanism, told through the story of a Korean housewife and her relationship with others ― including her ex-boyfriend and his current wife. The book was translated into English in 1983 and is said to have been considered by the Nobel Committee for Literature in 1993. After being translated into eight different languages, its ninth foreign-language edition ― Swedish ― was published in the country in October of last year. And the piece has been receiving positive reviews from the local media in Sweden. 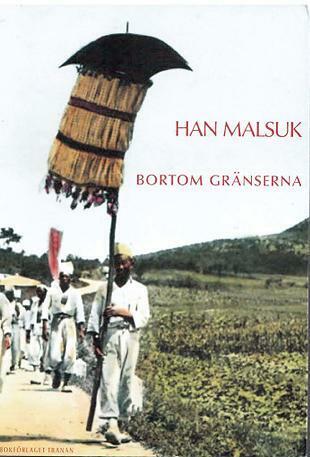 “The novel by Han Mal-sook is a beautiful and important work that broadens the image of East Asian literature,” wrote Knivstabygden, a newspaper in Sweden. The book also received a positive review from Swedish literary magazine Karavan. 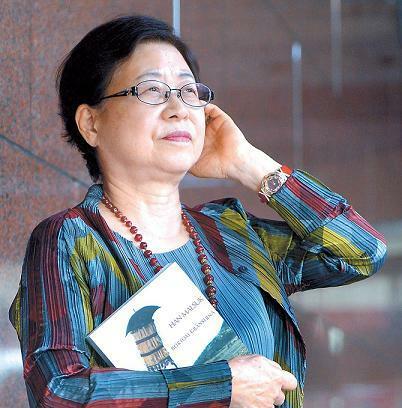 “This is the novel that I am most fond of,” Han told the Korea Herald during an interview on Oct. 26. The 80-year-old, who made her literary debut in 1957, is also famous for her marriage with renowned gugak musician Hwang Byung-ki. The couple has been living in their two-story house in Ahyeon-dong, northern Seoul, for some 40 years. While Hwang uses the upstairs as his music studio, Han occupies the ground floor for writing. Hwang, 75, is one of the foremost players of the gayageum, a 12-string zither with silk strings. Though he majored in law at Seoul National University, he devoted his life to gugak, Korea's traditional music, and gayageum. The professor emeritus of Korean music at Ewha Womans University has toured around the world giving performances. Han is currently working on a short story, which is scheduled to be published early next year. It is about a woman who goes to a temple wearing a gold necklace, and is told by a Buddhist monk that the necklace would only bring her misfortunes and unhappiness.